If you've ever watched HGTV's home makeover shows Property Brothers, Fixer Upper, or Love It or List It, you know one thing they all have in common: Barn doors. They literally come standard with every renovation. Touted as a great way to add rustic charm to any modern home, my wife, Marni, and I turned to each other and decreed, "We need barn doors!" 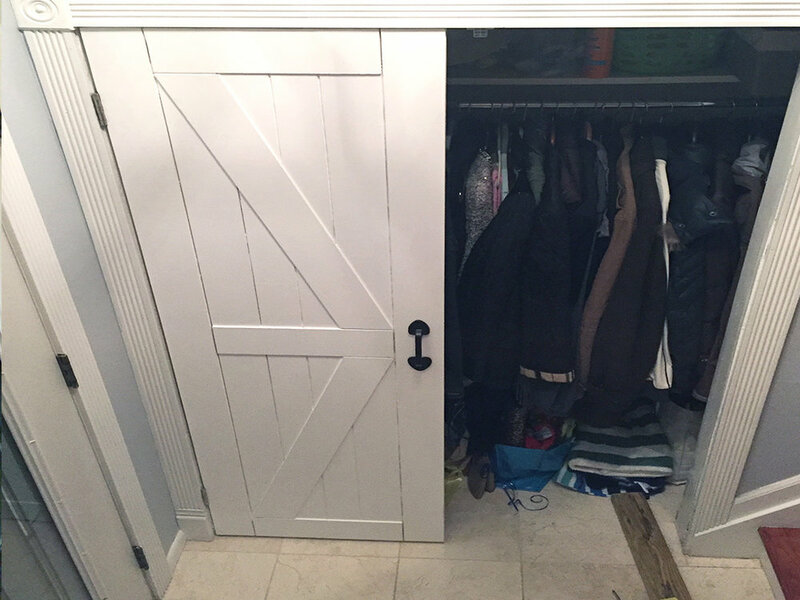 Having already wanted to replace the doors to our entranceway closet, we knew this would be the perfect location. 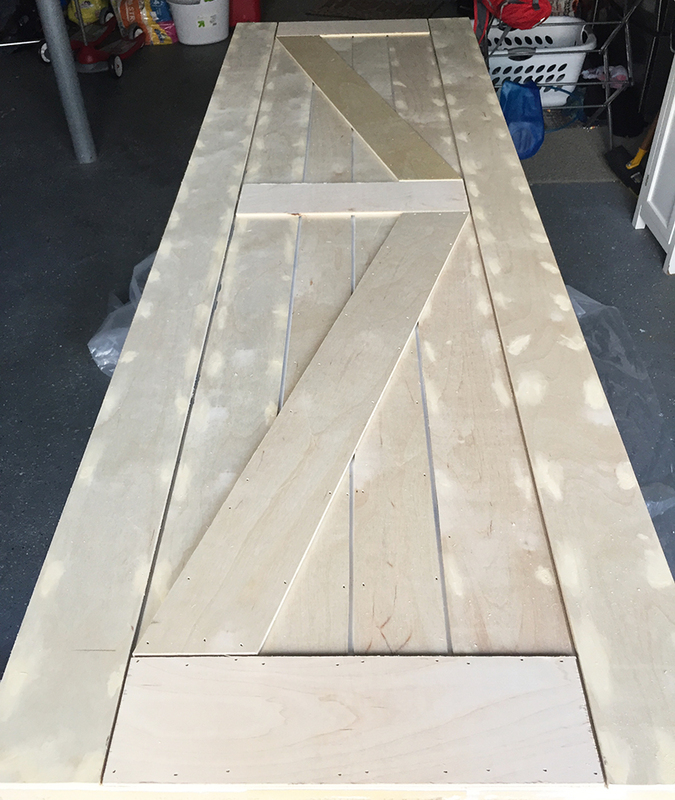 What Marni didn't know, was that I didn't want to simply buy barn doors, I wanted to make them myself. 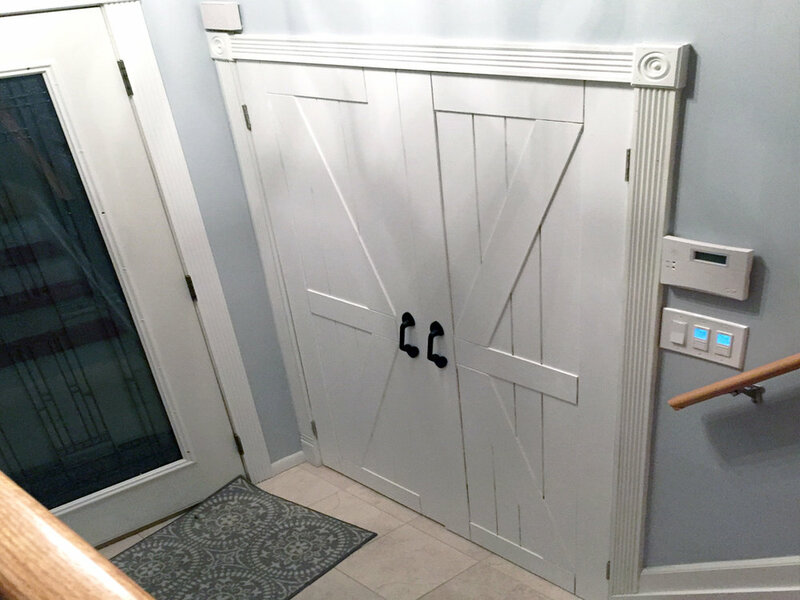 I started the project by choosing various barn door patterns then photoshopping them onto the plain doors in the picture to see which we thought would look best. We landed on the "framed double z arrow". I then bought some plywood from our local lumber yard and had them ripped into strips. I layed the strips on top of the closet doors and nail gunned them down. I then filled the holes with wood filler. Then plugged in the orbital sander to smooth everything out. Finally, I painted the doors with two coats of pure white Benjamin Moore matte paint. 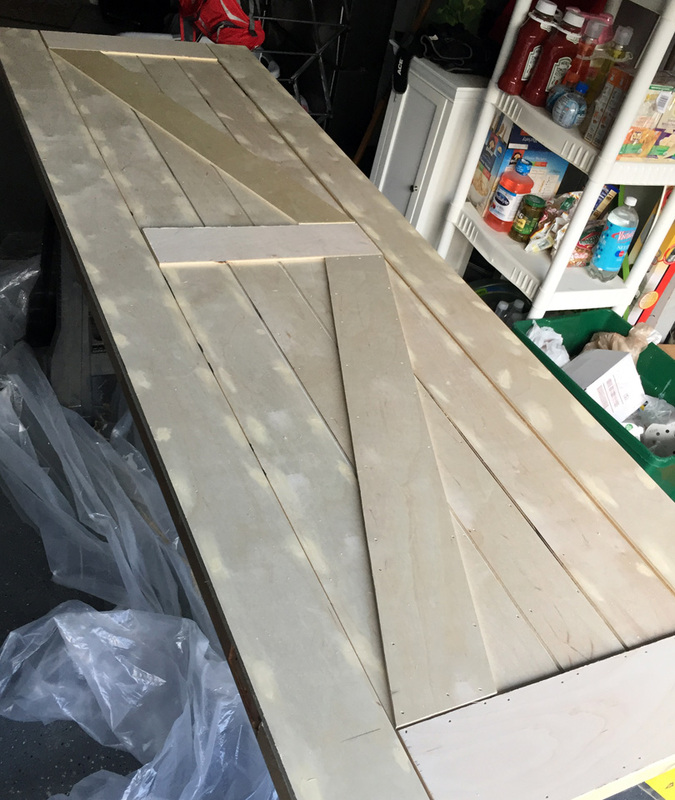 When the paint was dry, I then weighed each door since they were much heavier then when I started. Another trip to the hardware store and I came back with anchors to hold the heavier weight of the doors in the frame. Using a two by four to help line up the hinges to the door, I then screwed the new doors into the frame. New barn door handles were then attached to complete the look.